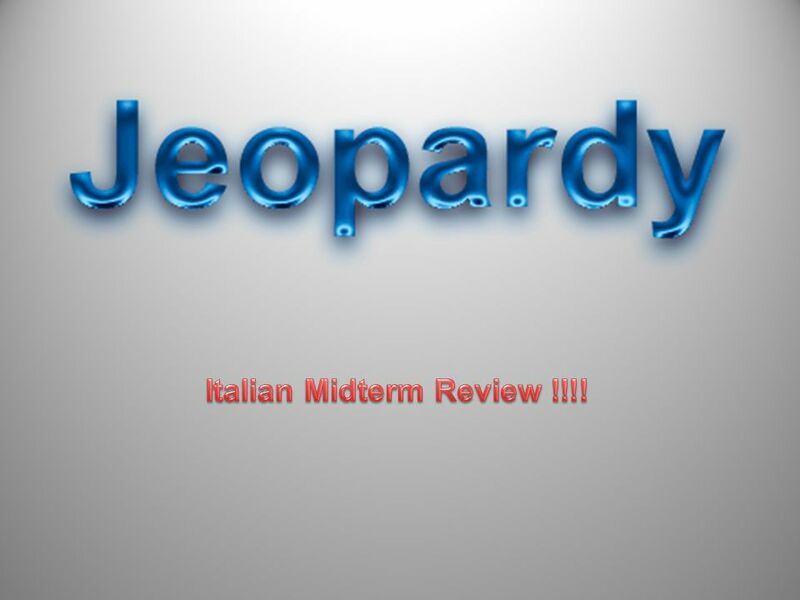 Surprise : ) 5 Cultura 4 I verbi 3 Vocabolario 2 Parliamo 1 50 40 30 20 10 20 30 40 50 10 20 30 40 50 10 20 30 40 50 10 20 30 40 50. 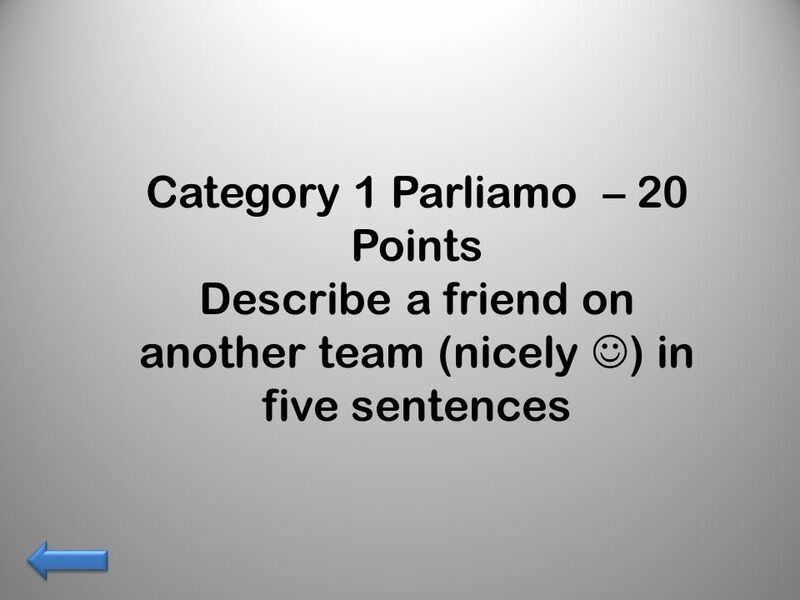 5 Category 1 Parliamo – 30 Points Talk about what students do in class. 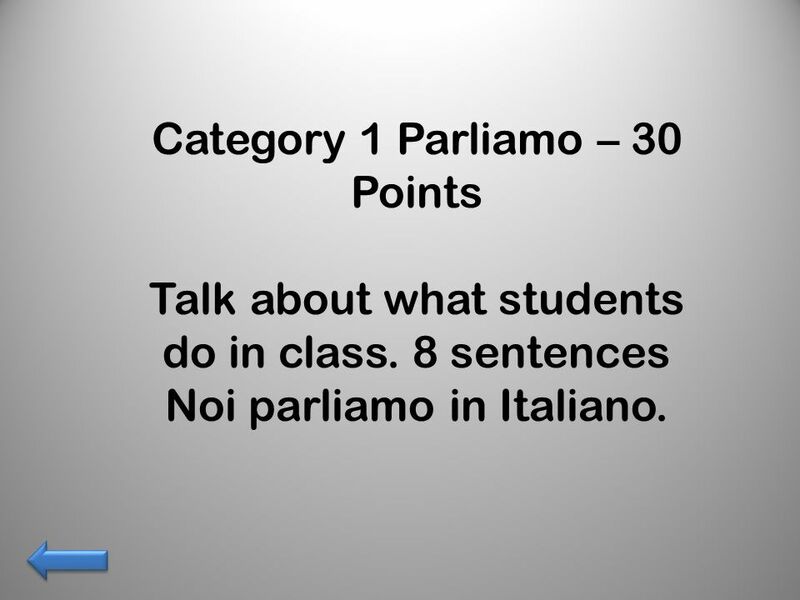 8 sentences Noi parliamo in Italiano. 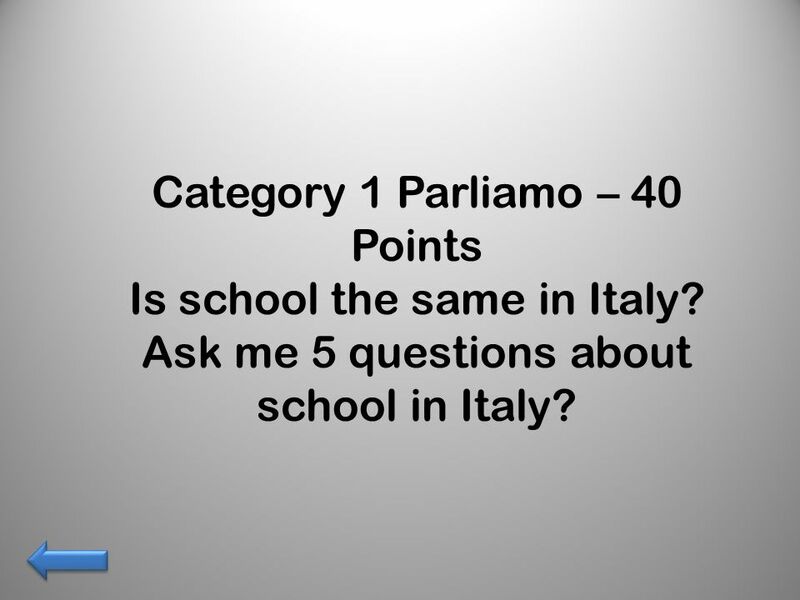 6 Category 1 Parliamo – 40 Points Is school the same in Italy? 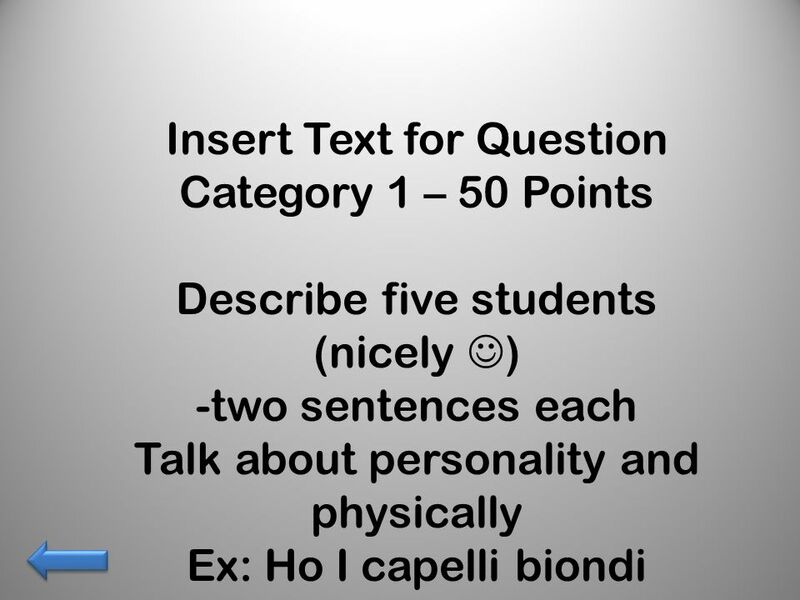 Ask me 5 questions about school in Italy? 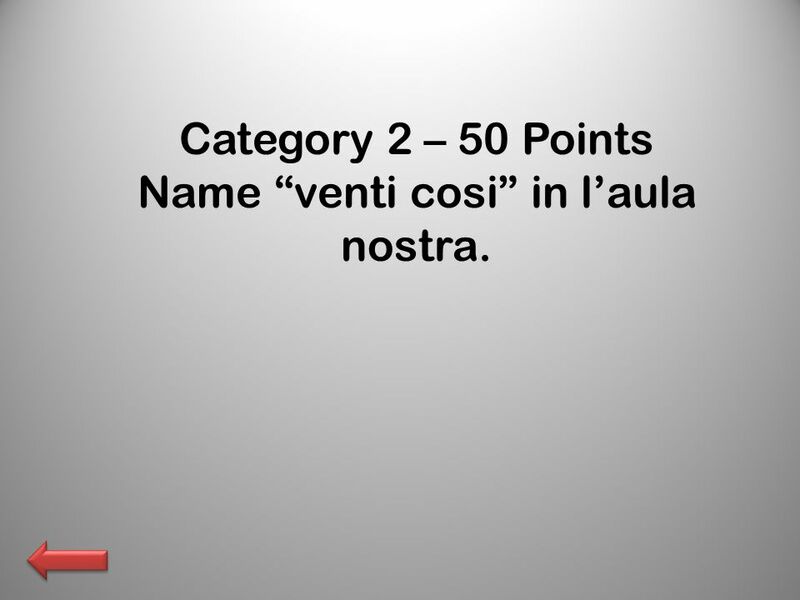 12 Category 2 – 50 Points Name venti cosi in laula nostra. 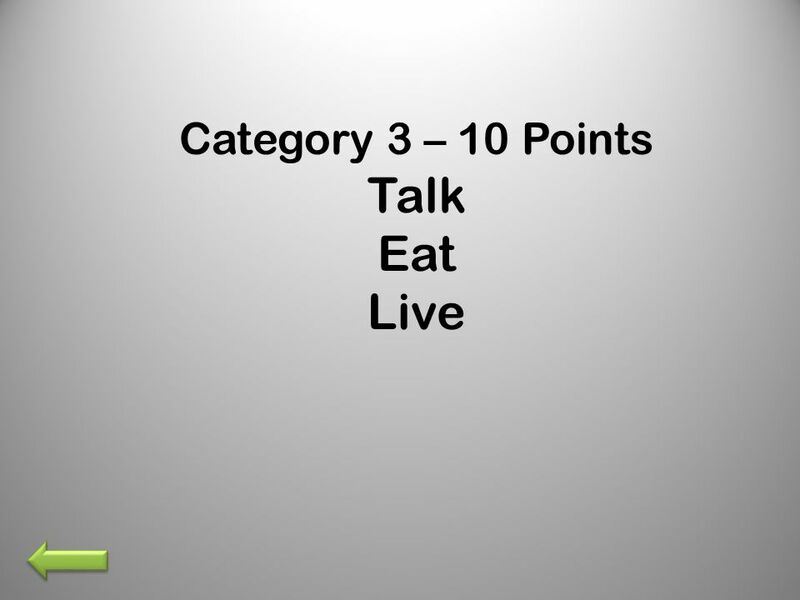 18 Category 4 Cultura – 10 Points Name 5 regioni in Italia. 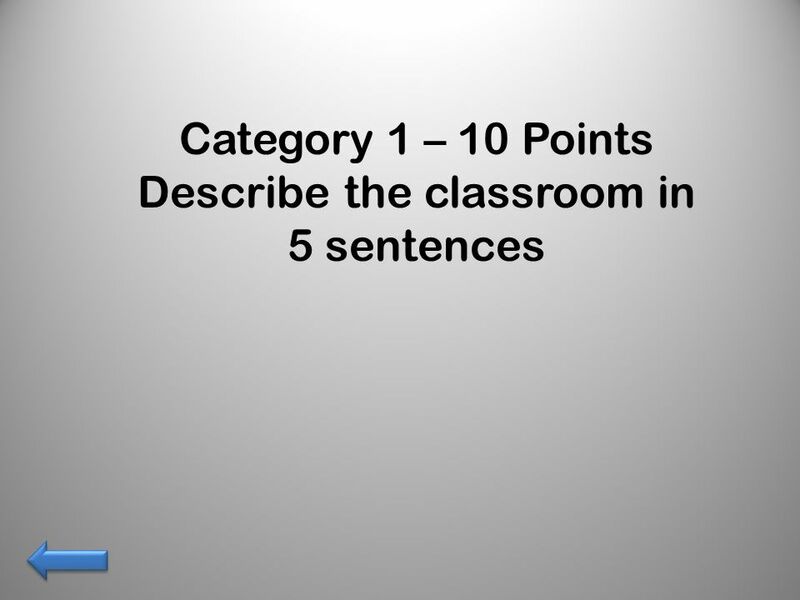 19 Cultura– 20 Points La capitale dltalia e….. What can you see there? 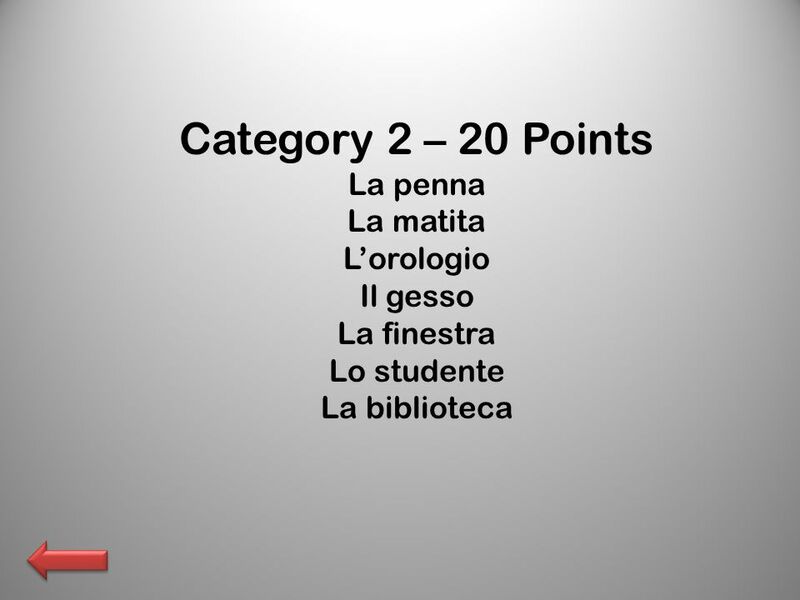 20 Cultura– 30 Points FIAT e un industria per…… Ci sono……..regioni in Italia. Vero o falso…. 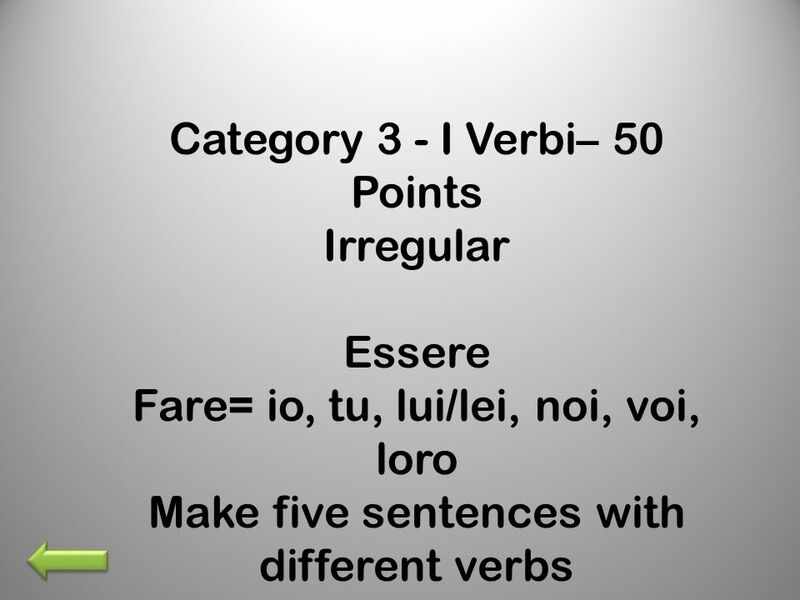 The Italian language varies from region to region. Italy is about as large as California. 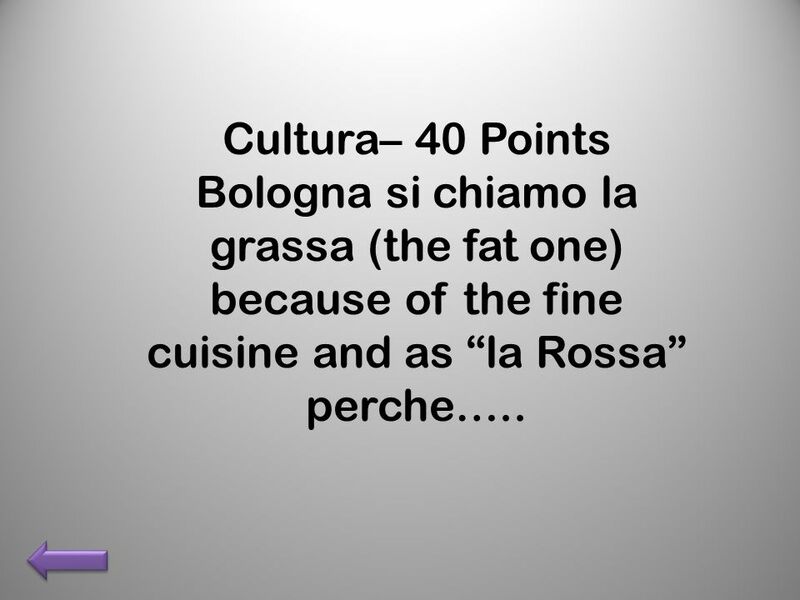 21 Cultura– 40 Points Bologna si chiamo la grassa (the fat one) because of the fine cuisine and as la Rossa perche…..
26 Category 5 – 40 Points 15 sentences about anything! 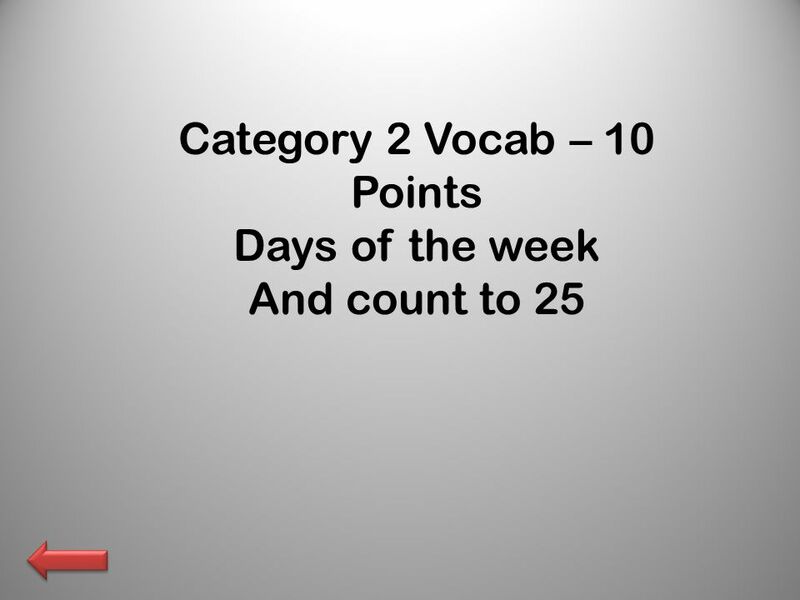 27 Category 5 Surprise – 50 Points Everyone in the group must answer Come ti chiami? Di dove sei? 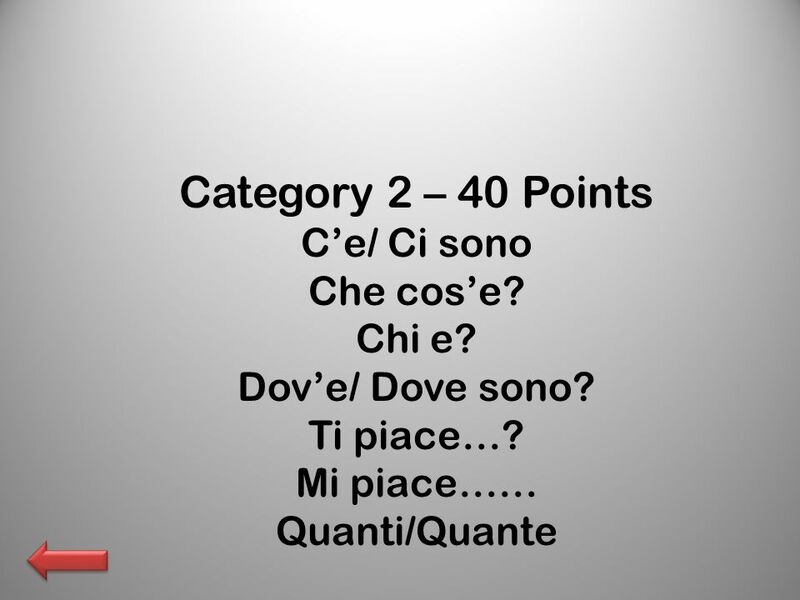 Qual e il tuo indirizzo? Dove abiti? 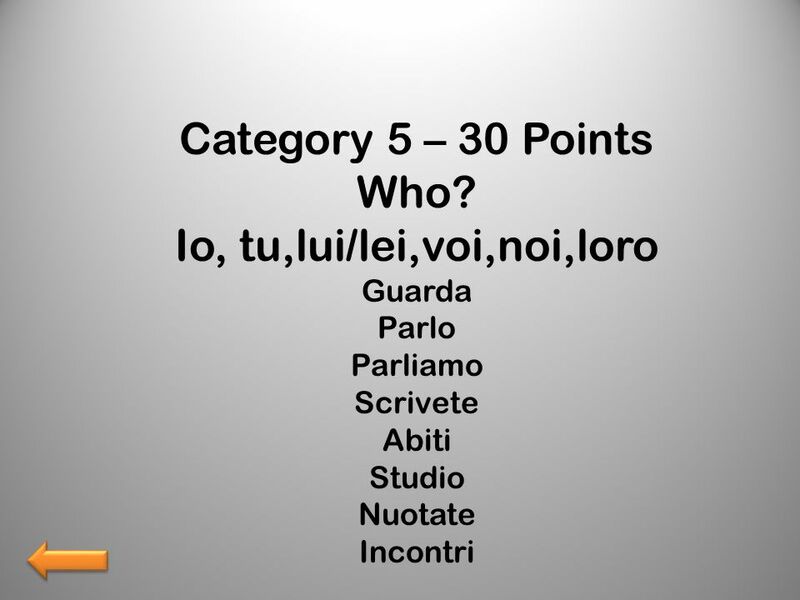 Dove sei nato/a? 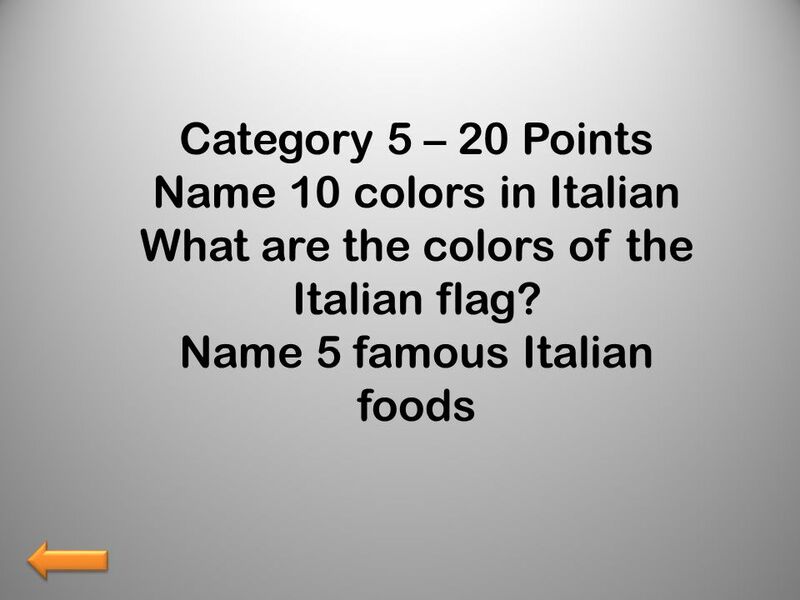 Where did Ms. Moore live in Italy? 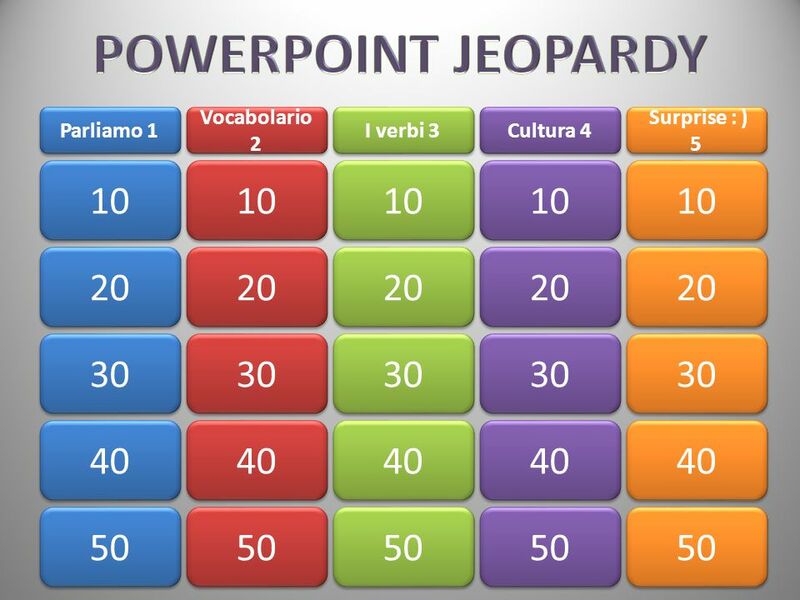 Download ppt "Surprise : ) 5 Cultura 4 I verbi 3 Vocabolario 2 Parliamo 1 50 40 30 20 10 20 30 40 50 10 20 30 40 50 10 20 30 40 50 10 20 30 40 50." 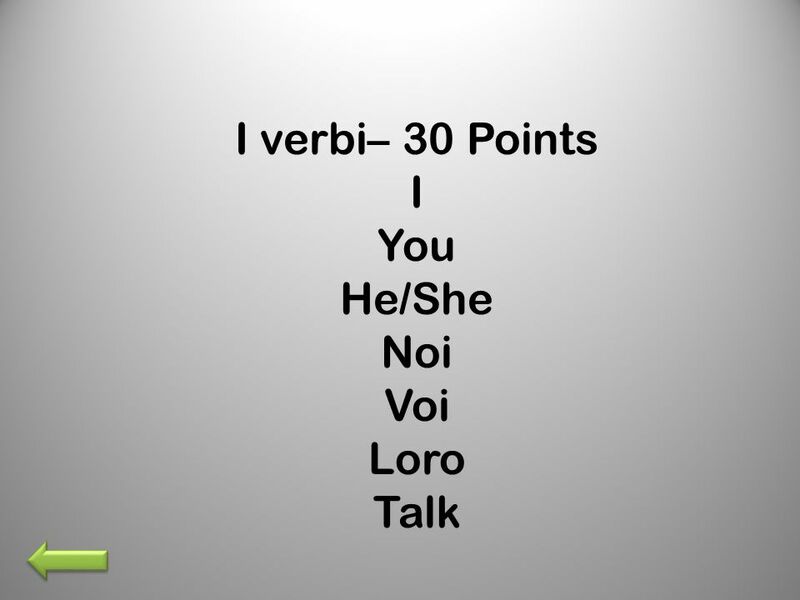 I Verbi di ARE Conjugating regular verbs that end in ARE. 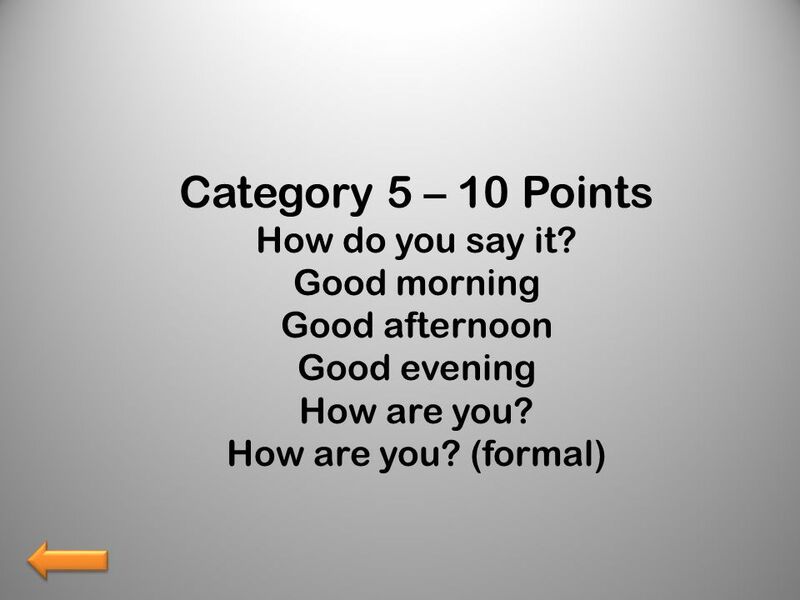 As in English, numbers in Italian follow patterns. 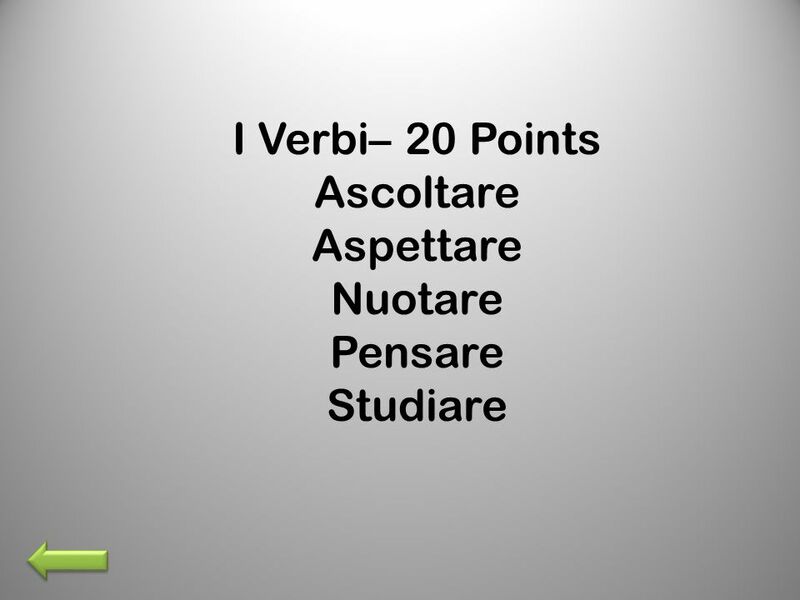 Punto di partenza In Lezione 2A, you learned how to form the present tense of -are verbs by attaching different endings to the stem. 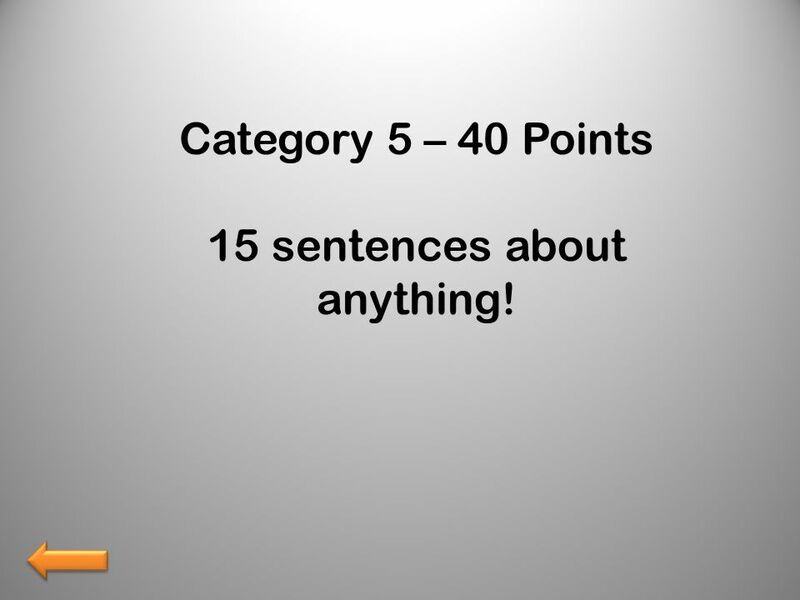 Conjugate regular. 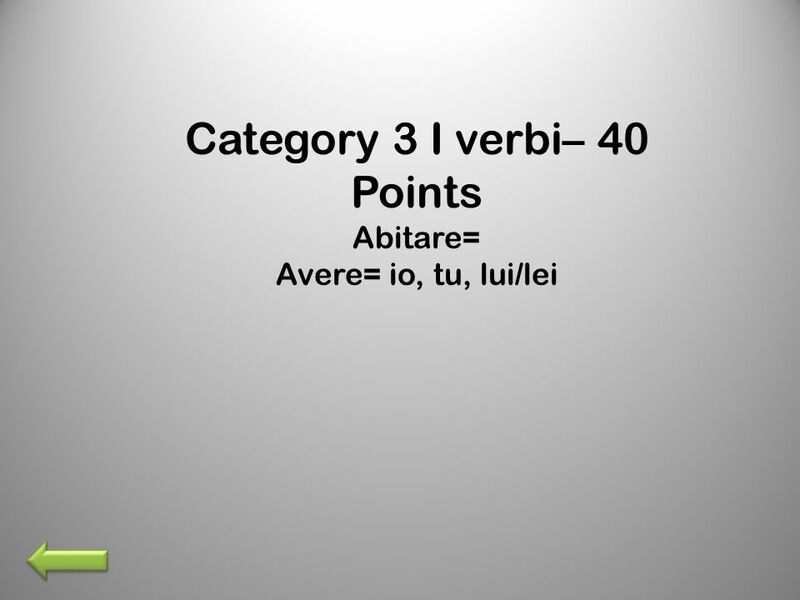 © and ® 2011 Vista Higher Learning, Inc.8B.3-1 Punto di partenza The verbs dovere, potere, and volere have special meanings in the present and past conditional.